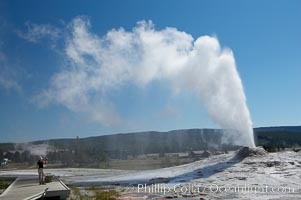 Old Faithful geyser during steam phase that follows the main eruption. 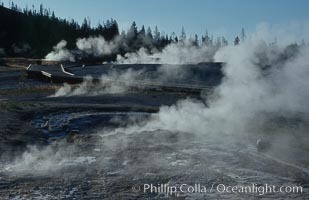 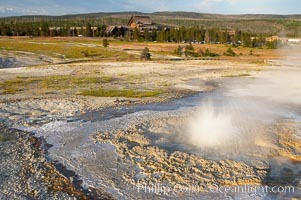 Steam rises from the many geysers, springs and pools on Geyser Hill near Old Faithful, just after sunrise. 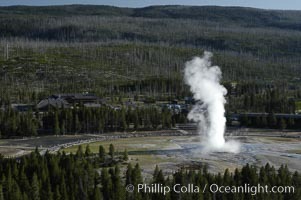 Old Faithful geyser at peak eruption, crowd viewing and Old Faithful Lodge, viewed from Lookout Point. 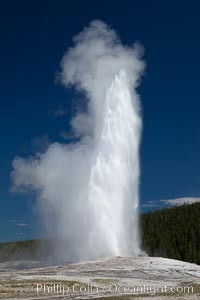 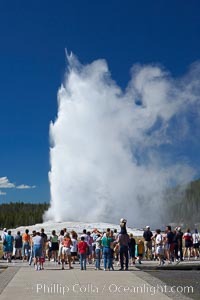 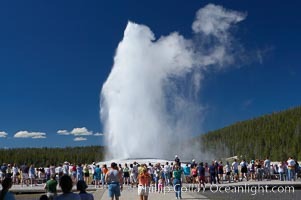 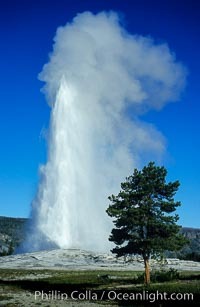 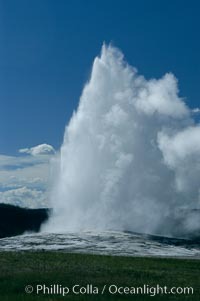 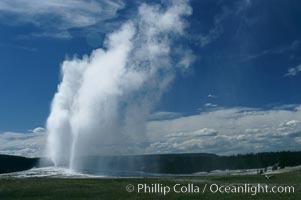 Old Faithful geyser at peak eruption. 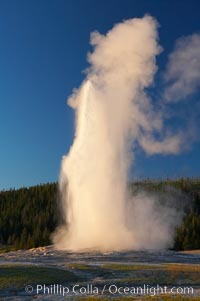 Old Faithful geyser at sunset. 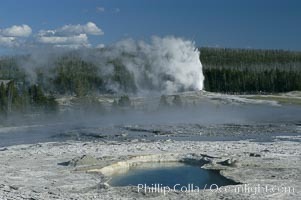 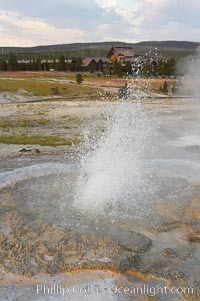 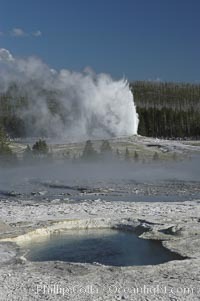 Old Faithful Geyser erupting, viewed from Geyser Hill with unidentified pool in foreground. 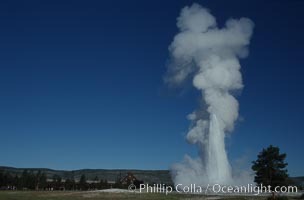 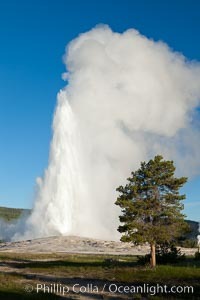 Steam billows from Old Faithful geyser as it cycles between eruptions. 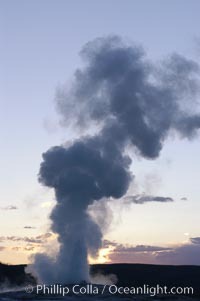 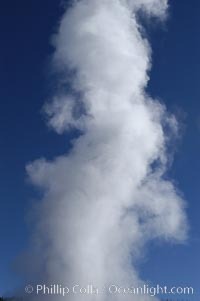 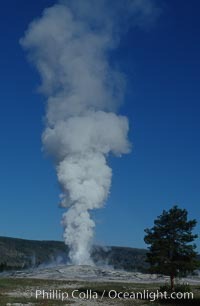 Sometimes the amount of steam is so voluminous that first-time visitors mistake it for a full eruption.